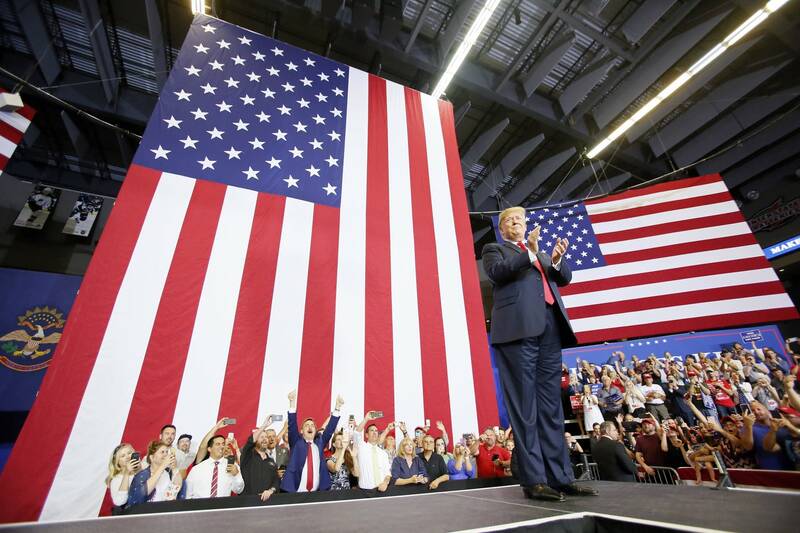 President Trump appeared at a rally in Fargo Wednesday evening, hoping to help Republicans gain a seat in the U.S. Senate. North Dakota Democrat Heidi Heitkamp is in a tough race to hold her U.S. Senate seat against Republican U.S. Rep. Kevin Cramer. 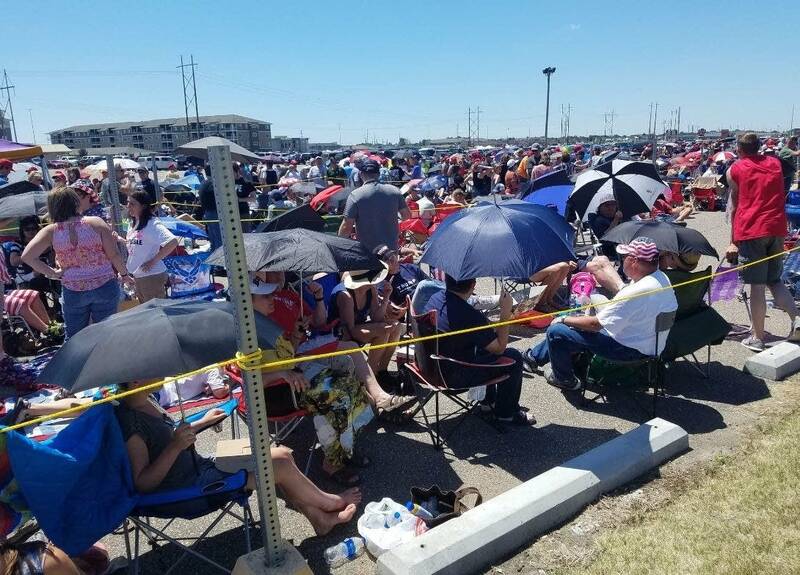 Outside Scheels Arena, thousands of people waited for hours in the blazing sun, hoping to see President Trump. Debbie Asplin-Neels arrived in the wee hours of the morning to grab a spot at the front of the line for the evening rally. The Barnesville, Minn., resident works in Fargo and took the day off to see the president. "He's a man of his word and I personally think he's one of the greatest leaders of men in history," she said. "For me to get to take the time and be there in the front row to smile and support him means everything to me." Scott Sebenaler proudly wore a Harley-Davidson hat while he waited to get into the arena — but he's not worried, he said, about the company's plans to move some of its manufacturing overseas to avoid retaliatory tariffs imposed on the U.S. by European countries. He shrugged, saying he expects it will all work out in time. "I just believe in President Trump's policy of building the economy, making jobs," he said. "To me, he's kept the promises he told the American people he was going to do. To me, that's important." Protesters, some holding signs, gathered outside the arena ahead of the rally; the crowd grew during the evening. 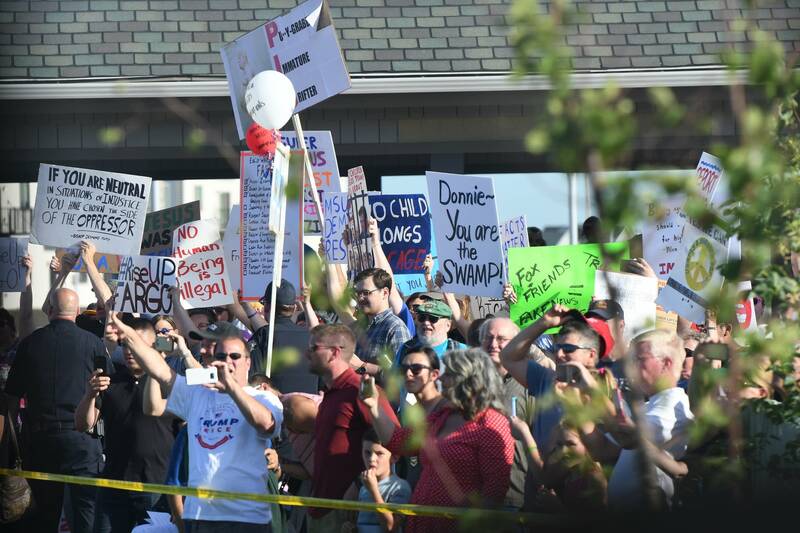 Fargo Police Department Deputy Chief Joe Anderson said officers on the scene estimated the number of protesters at about 300. 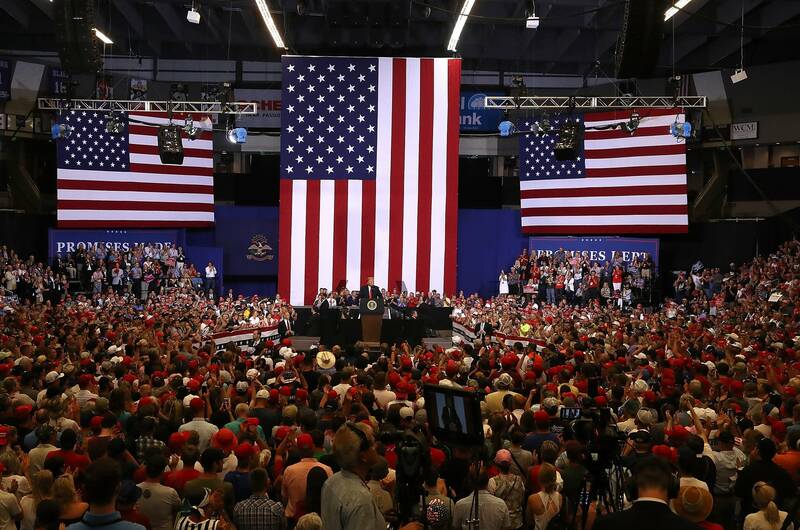 About 6,000 people filled the venue to roar their support of the President's policies and hear him touch on his usual rally themes. He praised the work ethic and patriotism of North Dakotans. "You are the people who farm the prairie, tame the badlands, and squeeze oil out of rocks," he told the crowd. 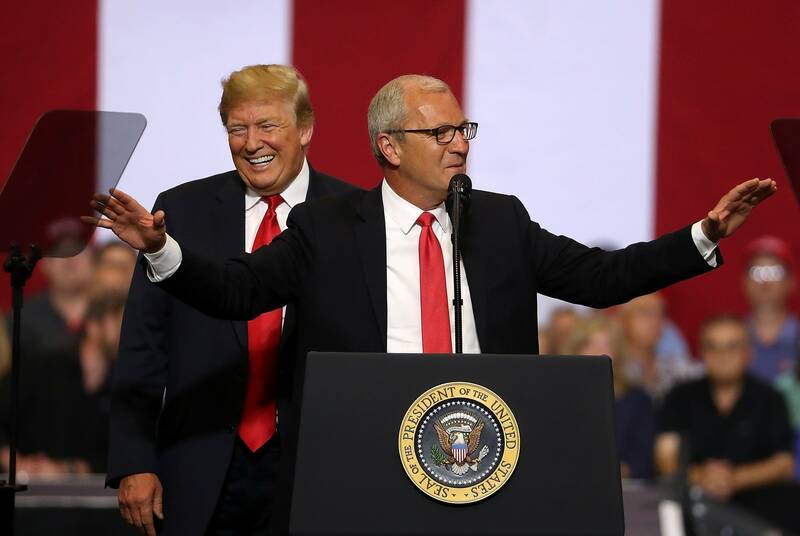 Trump urged support for Cramer, who is trying to unseat Democrat U.S. Sen. Heidi Heitkamp. Cramer, in turn, praised the president and promised he would support the Trump agenda. 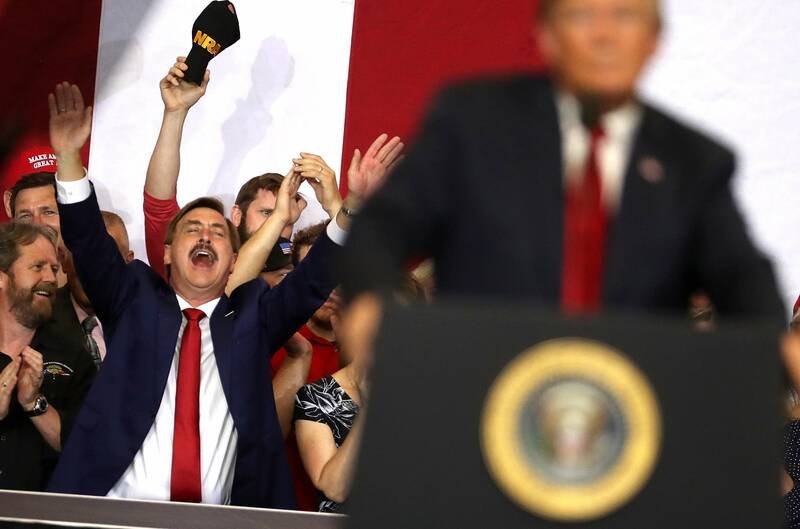 "Mr. President, on behalf of all of the thousands of people in this arena and the tens of thousands of people outside this arena who live in flyover country, thank you for not forgetting us," he said. Trump told the crowd Sen. Heitkamp had promised to be independent, but has voted against his agenda. Heitkamp, however, has voted with the president on several issues. Trump called her to the stage and singled her out for praise when he visited North Dakota last fall. Heitkamp, one of the most vulnerable incumbents seeking re-election this year, is considered a moderate and one of the least reliably partisan Democratic votes in the Senate. She's largely backed the oil-rich state's corporate interests on energy and has opposed some restrictions on guns. She voted to confirm 21 of Trump's 26 Cabinet-level nominations. But Trump said Heitkamp voted the wrong way on taxes, health care reform and abortion. "You need a senator who doesn't just talk like they're from North Dakota, but votes like they're from North Dakota," he said. Trump said Wednesday's announcement that Supreme Court Justice Anthony Kennedy will retire makes control of the U.S. Senate one of the critical issues of our time. "Democrats want judges who will rewrite the Constitution any way they want to do it and take away your Second Amendment, erase your borders, throw open the jailhouse doors and destroy your freedoms," he said. And in a state where agriculture is an economic powerhouse and farmers are nervous about the impact of a trade war, Trump urged patience. "So we have things cooking now, you're going to be so happy. But when people rush it, it's like rushing the turkey out of the stove," he said. "The more they rush the worse it's going to be. The longer we take, the better. Your farmers, your people are going to be great." Earlier in the day, dozens of farmers drove tractors and other farm equipment to a rally in West Fargo, N.D., just a few miles away. North Dakota Farmers Union president Mark Watne said the demonstration wasn't a protest. But his organization, he said, wanted to remind people that the president's recent tariffs and threatened trade wars are hurting demand for the state's farm products — and farmers worry they will be shut out of international markets.